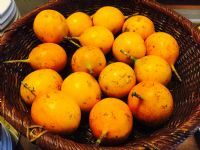 While most people fall in love with Costa Rica itself while visiting, I have heard tales of romance between humans too! I’ve long been in love with my home, and having traveled all over it for years, I can say that I know of a romantic spot or two that will get everyone feeling butterflies in their tummy. Whether you are looking to fall in love for the first time, or looking to fall in love all over again, hop to any of these spots in Costa Rica and get ready to feel the love! 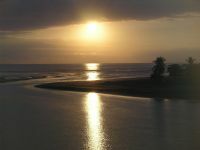 If you and your sweetie are into romantic sunsets, I can assure you that Costa Rica will not disappoint. Famous beaches line the coasts of my country, and when you combine white sand with skies in various shades of pink, you’re in for a night filled with romance. If you’re on the Nicoya Peninsula, you can choose from one of three isolated beaches: Playa Carmen, Mal Pais or Santa Teresa. These areas have all the makings for romance – you can only access them by dirt road, they are small beaches in small towns and they all feature massive, colorful sunsets. When you visit Santa Rosa National Park, don’t overlook the explosive sunset spot at Playa Naranjo, on the west border. This spot is also quite secluded, so there is a chance that you’ll have privacy. 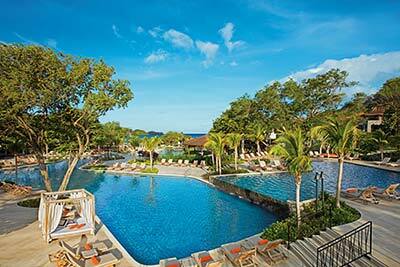 If you are up toward the Nicaraguan border in Guanacaste, you’ll want to hit Bolanos Bay in Playa Rajada. This secluded area is not only one of the best places to see a sunset, but you can explore the marine life and rock formation that make this one of the more interesting romantic beach spots. Seeing ultimate nature is sure to spring forward some romance. Watching the natural beauty of a waterfall is a great activity for couples that are looking to light a spark. 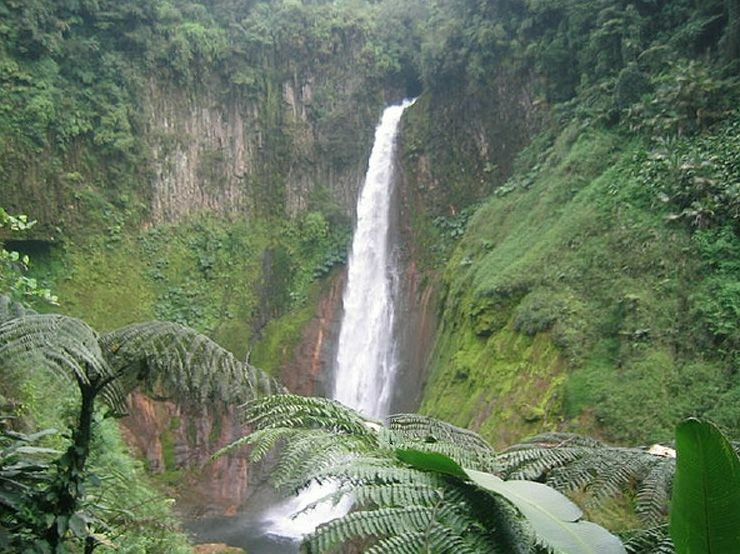 If you’re in Alajuela, you’ll want to make it to the Cataratas del Toro waterfall. This spectacular force of nature is located in the rainy town of Bajos del Toro and is complemented by an abundance of wildlife, as well as other water features including streams and pools. Lovers can plan a day of hiking that ends with an exciting view of the waterfall. 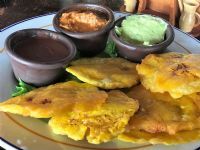 If you’re a couple with a more bohemian vibe, you’ll want to hop on over to Montezuma, on Nicoya Peninsula. While the Montezuma waterfall does have icon status, the surrounding area has a chill, artsy vibe that you’ll be comfortable with. You’ll have to be a couple that hikes together to reach the waterfall…oh, oops, I meant waterfalls; there are three cascades! There are a variety of romantic activities you can do, from simply viewing a waterfall to cliff jumping to relaxing in the swimming holes (which is my favorite thing to do!). If you are looking for an unbeatable nature experience, try getting to the La Paz Waterfall Gardens. This area offers not one, not three, but five waterfalls that you can experience. Choose from the Magia Blanca, Templo or Encantada falls for your romantic moments. Volcanos might seem like a strange choice for a romantic spot, until you remember that volcanic areas spurn natural hot springs. 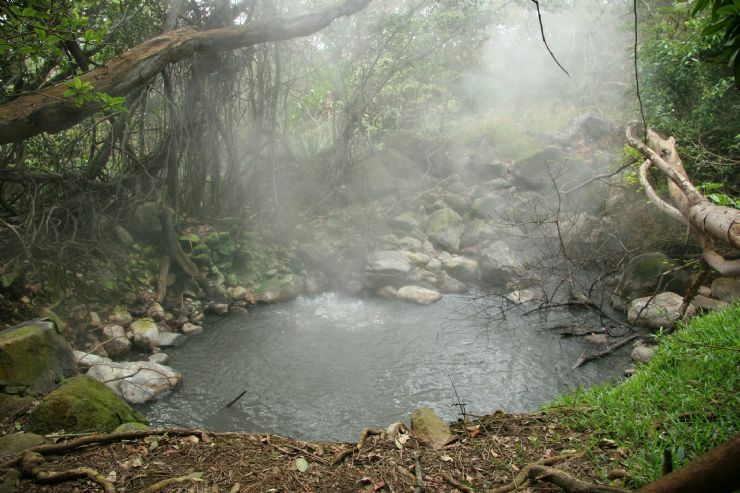 National parks like Rincon de la Vieja and Tenorio are just a few spots that will allow visitors to hang out in the hot springs – but you should know that you’ll have to take a pretty intense hike to get here. It’s worth it, though, to spend some romantic moments in the hot springs. Plus, there are worse ways to spend your day as a couple then hiking through a beautiful rainforest. You could also hop over to Arenal Volcano if you're are looking for a more luxurious experience; in addition to the hot springs there are several resorts to stay in that will offer you your own personal hot springs. Like the other areas, you’ll have to plan to hike to the natural hot springs also, but the reward is worth the journey. Maybe you and your sweetheart want a different type of physical activity; dancing instead of hiking! There are several spots in Costa Rica that are ripe for a night of dancing. My favorite place to tear up the dancefloor is in Jaco. 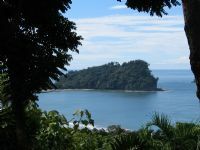 By day, Jaco is a picturesque surfing town; full of long boards, waves and sunshine. At night, this great city transforms into a favorite spot for some serious footwork. 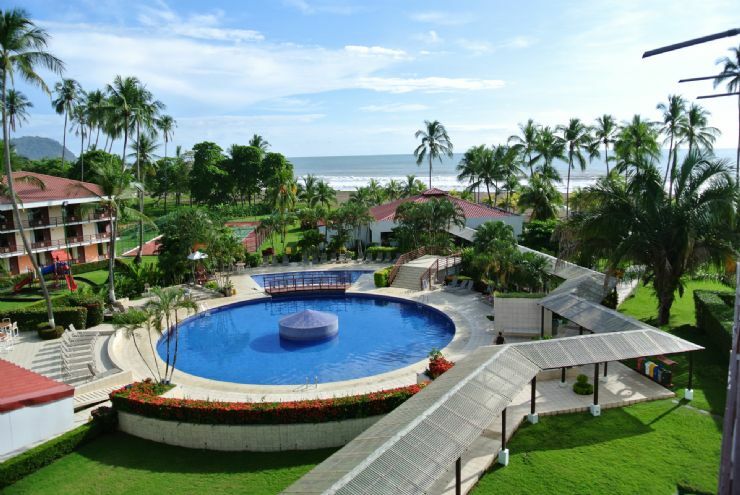 If you and your significant other want to spend the night falling in love on the dance floor, spend a couple of amazing nights in Jaco. San Jose, the heart of Costa Rica, is sure to steal your honey’s heart with its nightlife! Spend the day soaking up the local art and culture as a way to relax and save up your energy for a night filled with falling in love on the dancefloor. If you’re up for a little rest and relaxation away from the adventures of Costa Rica, you and your mate can plan to spend an entire day…inside. 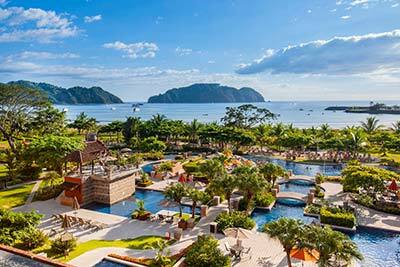 Book a room at an all-inclusive resort – they are located all over the most popular destinations in Costa Rica – and take advantage of the spas, massages, pools and luxurious rooms (with amazing views!) to spend time connecting with your partner. 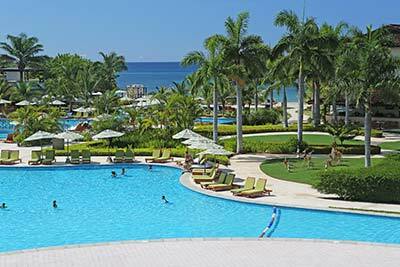 All-inclusives often offer food and drink packages, and sometimes even entertainment packages. You can plan a romantic day and evening without ever leaving the comfort of your hotel, all while still experiencing the fantastic nature and views that Costa Rica offers everyday. You can even ask the hotel staff to help you plan a surprise – like filling the room with rose petals or delivering champagne. 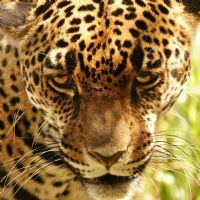 No matter where you go in Costa Rica, you will feel love; whether it is from the friendly locals, the unique animals, the beautiful plants or the stunning views. 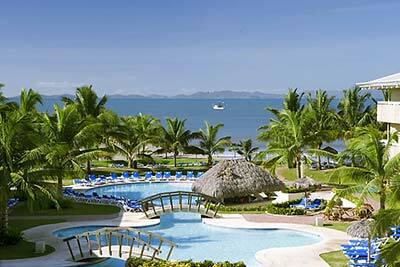 There is no question that Costa Rica is a place where it is easy to fall in love, not just if you are traveling over Valentine’s Day or another romantic holiday, but any day, any time of year. Just be sure to invite me to your wedding!